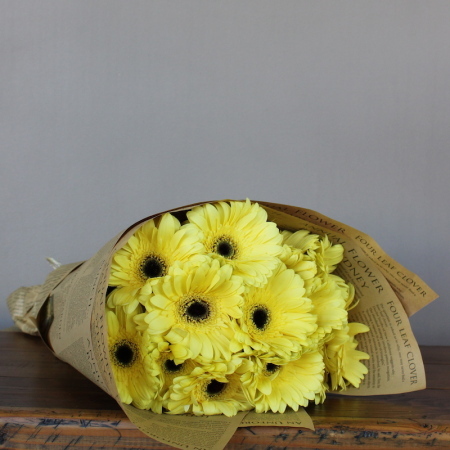 Would you like a nice bunch of yellow Gerberas without the bells and whistles delivered directly to your door or just something simple for a friend? A modest bouquet wrapped in quirky brown kraft paper makes a simple unique gift. At $45 plus delivery these fresh flowers are perfect to be sent anywhere in Sydney.